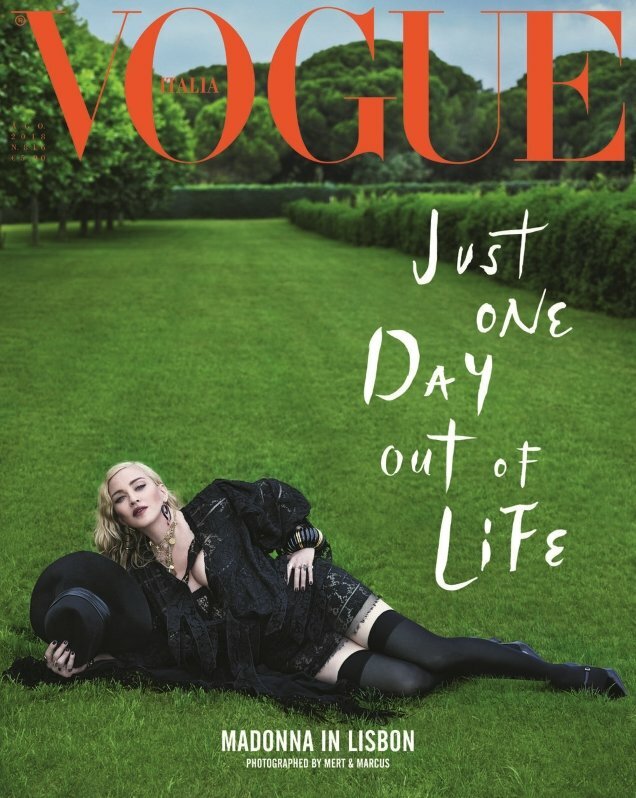 We’ve been in suspense ever since our forums got wind that Madonna was shooting a cover for Vogue Italia. Now the mag has finally released said cover as the legend appears on the Italian fashion bible 18 months after her last appearance. The team made no attempt to hide the fact the music icon was shooting for the magazine, either, documenting the experience on social media. 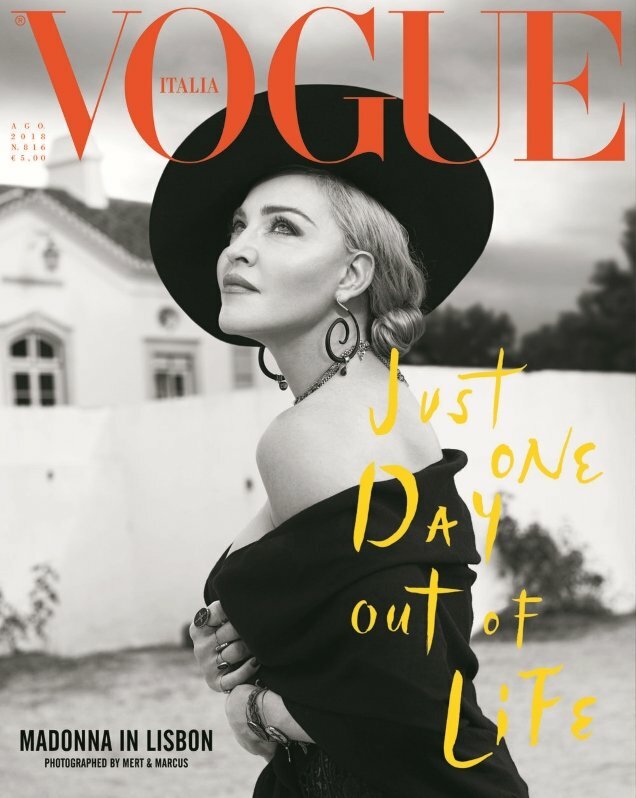 In true Madonna fashion, she’s decked out in various looks from Saint Laurent for the two cover images shot by Mert Alas and Marcus Piggott for Italian Vogue‘s August 2018 issue. But the covers failed to excite our forum members. “As we predicted in the Cover Rumor Thread Madonna dressed in black lace, lots of jewelry, chains and a hat. If someone held a gun to my head I’d pick the grass cover, but there is nothing to see here really,” declared dodencebt. “I’m trying to visualize the situation where this eyesore lands on the editor’s desk. What do they do if they hate it? Do they dismiss it or they just don’t simply because it’s Madonna? This is terrible, both covers,” proclaimed Royal-Galliano. “Does she sell in Italy? Did her last feature do that well? Aside from her longtime fans, who are they targeting here? Who is Vogue Italia’s reader? I have so many questions. I find these covers alienating and irrelevant,” noted GivenchyHomme. “I just don’t think they really put much effort into it. I feel like I’ve seen Madonna like this a million times before, but it could definitely just be down to Madonna herself wanting to look this way,” Elite13 added. “Not interested, same boring shoot from Madonna, this time for a magazine that should know better,” agreed YohjiAddict. “Most celebs have better IG photos than this. I’d rather go browse the European vacation of a VS model TBH. They seem to be able to create more memorable aspirational photos than this on the fly,” ranted an unimpressed A.D.C. Care to see more? Check out some previews of Madonna’s cover shoot and join the debate here.